Spurs: What Are We Going To Do Now? Beat the league leaders in glorious style then sink against Palace, 1 point out of 6 from them this season and that was dead lucky. So Spurs, so Spursy as COYS social media shrugged in collective resignation on Saturday night. You could be forgiven for that because we’ve seen it all before. However, in this case it was less about our inglorious inconsistency and more about something many teams have in common. Tottenham suffered the classic growing pains of a developing team and I’m afraid we are just going to have to put up with it for some time to come. Always enjoy a win, even more so when it’s accomplished by playing such good football. Last week I stretched out in celebration on Tottenham On My Mind and judging by the positive comments and number of page views, that’s what you wanted to do too. However, there was nothing in that piece on the Chelsea victory about what it meant for the future, and that was deliberate. The win showed the potential of the side, to us supporters and even more importantly to the players themselves. But that remains aspiration because we are a long way from achieving that week in week out. So without ignoring Palace and while the feelgood memories of Chelsea still linger, let’s take stock. First the good news. We’re 6th in the table, and although that flatters us somewhat, this season is one where you feel you have a chance against most teams as few seem impregnable. None below us, save Liverpool, are favourites to make a concerted move upwards. Win a few, lose a few seems to be the way for many sides. Still in the Cup and Europa League, semis of the League Cup. That’s a good place to be to make changes in a gradual, organic way. Those are the changes that last, they embed themselves in a squad, forming a culture that becomes instinctive. That has to be our aim. Change under pressure can work, witness Redknapp’s ‘2 points from 8 games’ becoming ‘2 points from the top of the league’. However, that involved considerable horsetrading and expense in the market and arguably the team was never fully developed. Spurs fans are fond of saying that the media are negative towards us. In my dotage, I have to come to dull but accurate conclusion that every supporter says the same about the media and their own side. Nevertheless we’ve been helped by the media focus on the problems at Arsenal (if only I had their problems…CL for 87 consecutive seasons must be sheer hell), Manchester United, Newcastle and Liverpool. It shouldn’t make a difference but it does, it eases the pressure in the same way that Redknapp’s cosy cosy relationship with the media twice protected him and us during end of season slumps. It gives us time and that’s what Pochettino needs. Pochettino has played the media well too. He keeps his head down, staying polite and available without saying very much. Post-match interviewers give up after a while as his apparent lack of both English and interest means he’s not going to say much, but I reckon that’s part of his game. It’s refreshing not to read a Spurs manager him in the papers every other day. On the field, Pochettino is getting his message through to the players, although some remain hard of hearing. Notwithstanding some barren spells in games and flat-out luck – a 90 second compilation video of our opponents’ misses this season would be X rated – a growing proportion of the squad are fit enough to sustain the energy levels he insists upon and have bought in to the key elements of his approach – high tempo, keep the ball moving, get it forward quickly, get compact and press when we lose possession. Note this has been achieved without many injuries in contrast with teams like Everton and Manchester United. Kudos to the fitness coaches and medical team. Time a factor again – rush this process and injuries are certain. 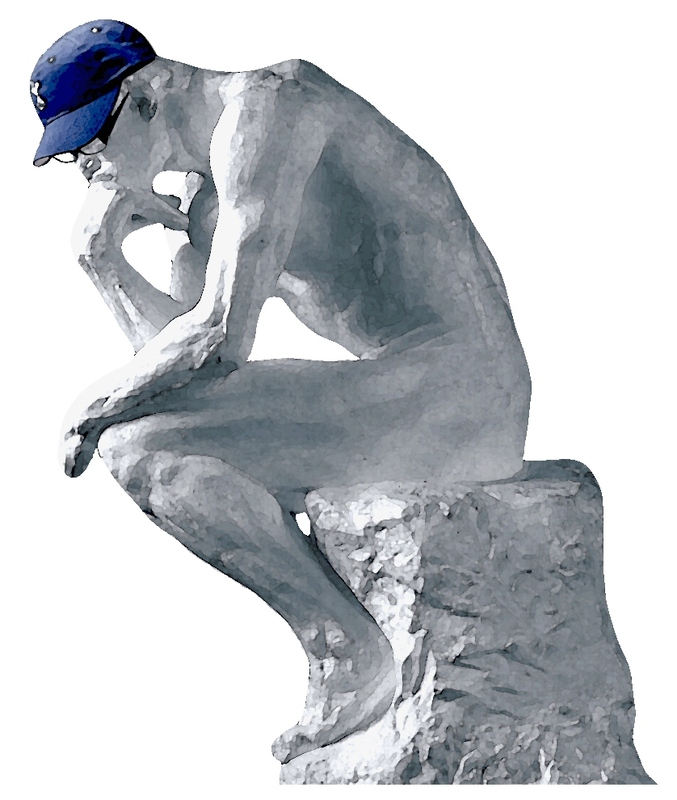 Earlier this season I bemoaned the apparent lack of motivation after a series of lacklustre, sluggish performances. Largely that’s not a concern now, partly because the players have discovered that if they do what their manager says, it works, partly because Pochettino has weeded out those who don’t fit. It’s noticeable that the young players have readily bought into his philosophy. They realise he will give them a chance and make them better players. Kane has exceeded all expectations, even I suspect his own, but it’s the engine room of Bentaleb and Mason who have really taken the team forward. They’ve freed up Eriksen to play his best football for us so far, consistently, in the middle where he belongs, Without both against Palace, the team looked open and directionless for all of Stambouli’s and Dembele’s sweat and toil. Bentaleb has what it takes to be a top class footballer. Time has been a vital resource also because our manager tends to give players a chance. He gave Kaboul and Capoue a run of games before deciding, rightly, that they didn’t fit. Mason and Kane have repaid their manager’s trust. Lamela is learning, slowly, but we shouldn’t give up easily on a talent like that. Chadli and Rose both had a run, were left out when it wasn’t working and have now forced their way back into the reckoning again. Neither are perfect, and in Chadli’s case he may not be what we want, but more saliently their efforts show the players feel it is worth making the effort to play for Tottenham Hotspur, not to put their energies into getting a move away. Hugo Lloris. Not sure what endears him more to me, his elastic, committed goalkeeping or his utterly crestfallen expression when he makes a mistake. I care about the club, so does he and our Hugo is earning the right to be one of our own. But. Playing 4-2-3-1, high tempo, pressing puts a great onus on the forwards, that 3. They have to get up and back, covering and getting past the frontman into the box to score goals. Our problem is on the right and left of that 3. A lot of fuss about ‘inverted wingers’. I’m not keen but the real problem is not the ‘inverted’, it’s the ‘wingers’. To make this system work, you don’t want wingers, however entrancing their flying feet and weaving runs may be. You need mobility, strength, hard work. The ability to pass is more significant than the ability to beat a man. It gives me little pleasure to say this but it’s true. We don’t have the right players for that role. Chadli is a fine athletic player, so skilled. Blink and you miss his subtle touches but he does not work hard enough when we don’t have the ball. Lamela runs hard but his positional play without the ball is a liability. Townsend is like a schoolboy eager to please his new teacher – he’s trying too hard. He needs to stop and think and I’m not sure he can. He’s a left winger and should be used there when we need it. Lennon is so in and out, either through lack of fitness or his manager doesn’t rate him, it’s as if he’s not in contention. We also lack depth in key positions. We have a skipfull of midfielders ready for recycling. Capoue is a natural DM but too slow for his manager. Paulinho in 2013 was a tailor-made box to box midfielder who had his best years ahead of him. Then he came to Tottenham and like many before him saw his career crumble. At least he has comfort in knowing that after not making the bench for an EL game, the only way is up. Dembele is not and has never been a defensive midfielder and I cannot for the life of me see why a series of managers have played him there. The lack of strikers has been a scandal for several years. Nothing more to add about that. I respect Soldado for his attitude but he can’t score in navy blue and white and it’s not going to happen now. He deserves another go, somewhere else. Adebayor is bored with us now. At centreback, another pair have benefited from Pochettino’s policy of giving players a run. Vertonghen has been playing his best football for at least a year, while Fazio is settling. Any defender looks vulnerable if forwards are allowed to get at them but he looks especially vulnerable unless he’s protected. Mighty in the box but get him on the run and we look shaky. That protection has not been evident. No coincidence that 2 of our 3 best performances this season, away to Arsenal plus Chelsea at home have come off the back of prodigious effort from the front 6. The third, versus QPR, well, they were poor. Pressing is less about making tackles and more about controlling space. We still have to learn that lesson. Palace was the latest game this season where they had far too much room in our half. It’s like when Poch says, ‘create space’, they think he means ‘create space between ourselves.’ Looks like players are fit enough now to run, now they need to learn about where they go. Time. Patience. A plan. We’re doing OK but there’s a long way to go. We know what the problem is: in recent years Daniel Levy has failed to create let alone implement a coherent strategy. 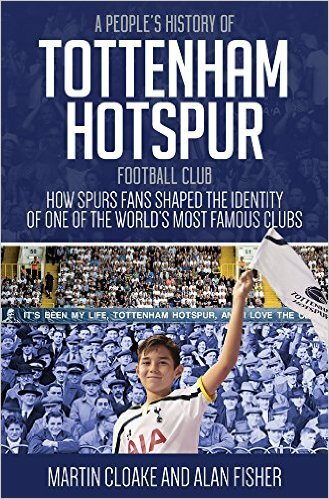 Spurs cannot settle because of the turnover of managers and, just as importantly, of Directors of Football because they should be responsible for medium and long-term player policy and development. Given that Joe Lewis is a billionaire owner not prepared to lavish his fortune on a football club, player and team development is the only route to progress. The absence of a plan represents a chronic failure at the top, compounded by an apparently wilful lack of investment at crucial times in each of the last three summers, when surely buying two or three quality players to add to the able, developing squad would have transformed a good team into real challengers. Three seasons at least now without a proper strikeforce, or backing for new managers in the market as opposed to appointing them then leaving them unsupported. If the problem is long-term, the conclusion is that the solution is long-term too. That may be unpalatable for some but that is the only way forward and with Pochettino as coach. He has inherited a squad lacking balance with too many players who do not fit his pressing, high-tempo tactical approach. My assessment above is basically him spending half a season sorting it out. We simply cannot keep sacking the manager, Levy owes it to him and especially to us the paying public to give him a decent chance. That means we have to build again, and that takes time. Not again. Another “transitional season”, the Spurs’ euphemism for we don’t know what we’re doing. Never mind managerial churn, the thought of it makes my stomach churn. Bale’s fortune wasted, the Champions League quarter-final a distant memory. Yet there’s no alternative. We have to say to the manager – what sort of team do you envisage in two years’ time? That’s how long it will take and we have to rein in our expectations accordingly, however distasteful the prospect. The transfer window is now open, a time to think about those plans. Not to take anything away from the progress made by team, manager and many players but the lack of depth leaves us exposed. Short-term, half a team of internationals have no long-term future here: Chiriches, Paulinho, Capoue, Adebayor, Soldado, Kaboul maybe, plus Naughton (a decent little full-back by the way). But we can’t sell unless we have replacements and quality is hard to come by in January. Say Kane and Vertonghen get injured. Christ on a bike, quite frankly. And then there’s the summer. All the attention in the window is on buying players but team-building depends on keeping the good ones. Lloris is one of Europe’s best keepers. Did he stay for one more season because he was promised a move? Eriksen and Vertonghen by all accounts declined new contracts earlier this season. Contracts of course don’t stop a transfer but it indicates that they were prepared to forgo thousands of pounds a week extra in order to make a summer move easier, should they so wish. Don’t mean to end on a downer but this is Spurs’ reality. The only way forward is to make a long-term decision to support this manager and buy players he wants. Hopefully the arrival of Paul Mitchell from Southampton signals that this support will be forthcoming. Otherwise it will be typical Tottenham – one step up and two steps back. First and foremost, footballs a game and so many factors irrespective of a managers influence will decide the games outcome. it appears that so many ‘experts’ could do better than the bloke at the helm, yet if you take into account the referee’s in both the previous PL games the outcome of either match could easily be reversed. It’s called the run of the ball and if you’ve ever played the game at any level you’ll understand exactly what I mean? It’s the teams performance that matters, it’s the sides attitude and determination that I’m interested in more than the result itself, and that’s what I’ve always done and it’s served me well. Our past 6 or so games equally could have gone in different directions, but as you said that’s indicative of a team finding it’s feet under yet another bloke with yet another set of ideas. We were winning all those away games – enjoyed it but was worried because the attitude and determination was lacking, until we went 11 v 10, so agree with you on that one, Pete. Decisions from the officials have also had an impact, all the more reason to look at the overall performance. For me, what sets this season apart from ones that have come before is that for every negative there is also a clear positive – and it starts with Pochettino. Fans were a little too quick to jump on his back earlier this season (as we always do!) when his substitutions didn’t appear to make sense; if you’re chasing a game, bring on a striker surely? However as time goes on it makes more sense – he needs stamina and athleticism in his team, coupled with intelligent movement to create the space. This does not necessarily mean get another body on up front. With Kane, Mason & Bentaleb we have 3 players who match his philosophy, and in the Chelsea game we got to see what football we could all be enjoying if we can get all the correct working parts. Other than Poch – Lloris. I don’t know where to start with him. He chose to sign a new deal with Spurs when he could have left and no one would have sent anything other than the best of wishes to him. We still aren’t performing to a level he deserves to be playing at, but just as you mentioned the joy in winning, and the pain in defeat is all over his face. I pray we can go on a strong run for the rest of the season, because snapping him up is fast becoming one of the best decisions we have ever made and long, long may he stay. If he isn’t made captain soon it’ll be a travesty in my eyes. In Paulinho, Dembele, Fazio, Naughton, Lamela & Soldado we have players that vary from lazy, to being played in the wrong position, to an absolute donkey (Fazio!). Personally I still think Dembele could move up the pitch and change it completely for us. I was so excited when we signed him. With a quick centre back who reads the game well, a pacey striker, and another 2 athletic defensive / box to box midfielder’s we’ll look strong. As you stated though, if you look at some of the chances that we haven’t been punished for we are lucky to be where we are. There is certainly work to do. I think it’s unfair to label Fazio a donkey. You may as well have labelled one of our finest ever defenders (Mike England) the same, because he lacked pace. Ok, it’s different and fitter times, but Fazio is adjusting to the demands of the PL while still looking pretty good alongside Verts. He’ll get better. Dior isn’t ready for a centre back spot yet, Kaboul has been done for by injuries and isn’t as good positionally as Fazio, and Chiriches (bought as a centre back) is just too lightweight. Soldado, Lamela and Naughton don’t give the impression of being lazy either. Soldado works damn hard, but because he’s ultimately a box striker (not an all round one like Kane) he needs proper supply from midfield and the wings. Lamela now runs at players with no fear and makes himself always available ..even if he (like others) is still learning what it takes to be top PL player. Naughton also tries hard when he plays, but he’s not quite top drawer ..more’s the pity, because I like the man. Still, as cover with Chiriches for Walker (and kept away from other defensive duties) he’s OK.
Paulinho (I agree) is lazy and an enigma, but not quite the enigma Dembele has turned out to be. Excellent against Chelsea, he was (along with Townsend and Chadli) poor against Palace. No wonder Eriksen and Kane (despite his goal) had an average game. The dominance over Palace for the first half hour was embarrassing (it was like we were playing a 3rd tier team) yet we only fashioned (more embarrassingly) one solitary chance ..while Palace then only got better (and boy, did they). The story has been the same too many times this season, especially at home and even in the nicking of points away. If we can’t hurt teams in those periods when we’re all over them, we really are in trouble. I used to think Dembele should play further forward, but now I think there’s no place for him (except as cover further up field). I agree he isn’t, and never, was a DM ..and somehow, like Huddlestone, we’ve wasted him (yes I know he and H are two entirely different types of player ..but the wastage is the same). (a la’ Bale ..although I’d settle for 50% of him) to balance out the team. Yes, we’re learning to play more narrowly, and press higher, but we need also to be able to stretch teams on the flanks (as we used to) when it’s required. Townsend can’t seem to play on the left (he’s no left winger, nor a good inverted winger ..and neither is Lennon). Against Palace it was pitiful to watch him. He had no impact whatsoever on the right and at present looks a shadow of the confident player that became England’s big hope (briefly). A victim, perhaps, of Poch’s new methods, and not being able to adjust to them. What do we do to our players, during these ‘works in progress’? Fine analysis. Of the current lot, Paulinho’s head has gone and he needs to go too. Agree re Townsend, he’s trying really hard but he doesn’t fit the system. Wouldn’t sell at the moment – attacking option as a winger, well motivated and good for the squad. We need at least one more defensive midfielder, one who can do the covering and the filling in between the back four as well as drive the team on. Someone to fill that space. I still hold out a shred of hope for Dembele, who is hugely talented, surely we must be able to do something with him. Suspect he will go if a good offer comes in, he has few friends amongst the fans I reckon. Fazio an interesting figure – he must have a way of dealing with his lack of pace in Spain, I understand he was club captain. I’ve described him as eing good once he gets to the play, it’s the getting there that’s the trouble. Positives as you say but could be a long haul. If Levy was prepared to swallow his pride and take even a limited hit on some of the players you quite rightly list as disposable, we could generate some beneficial movement in the market. But he never is. How many years did Gomez and Dos Santos languish at the Lane for, doing nothing more than drawing a salary? And now it seems as though Ade is falling into that category. heh heh, did see that, flattered that you and Ron were checking up on me. Life getting in the way of writing and when it came to it, thought an overview was better than yet another match report. Thoughtful and insightful as ever Alan. Thanks. I am certainly enjoying this season more as Pochettino has moved to a side heavy with young local (and other academy) players, alongside the related upswing in performance and results, in general. I agree about Bentaleb (and I said lots of nice things about him last season) and there’s something of the young Fabregas in him, how mature his decision making is and how he seemingly easily he makes time and space for himself. Not as dynamic as the young Fabregas maybe, but a super footballer in the making. I see something of Samways in him too. I know lots of Spurs fans bemoan Vinny, but he was a good 10 years ahead of his time (as the saying goes) with his short, possession-based passing in the English game. Got himself into lots of interesting places around the field too did Samways. I still think out and out wingers have a place, but fear you may increasingly be right on that one. I too bemoan this, esp as I started out as a left winger in my day! Dembele must have more licence to stay upfield, but Eriksen, Chadli and even lamela are likely ahead of him for an advanced role. Shame as he is a super footballer. Finally, what was becoming a fairly poisonous and joyless season has been resuscitated with interesting and potentially bright things happening at the Lane and that really is enough for me for now. Good to hear a positive spin on our progress. I wondered if people may pick up the down side, because we have a long way to go and there will be trouble ahead! if we play Fazio, we need to play to his strengths and cover his weaknesses. Jan and Walker could cover for him…but Walker tends to wander and the midfield don’t protect the back four enough. In the box he’s decent enough. Anyway, we will have put up with him because there’s not much cover! Samways got into a lot of positions all sideways! My own feelings are that Daniel Levy and the board need to make a decision on which direction they see the football team going over the next 5 years or so and how they are going to achieve that aim. Whatever that decision is, it must be conveyed to us, the supporters. It really doesn’t matter to me whether they want to challenge to be champions or just be happy finishing in the top 10. Having been a supporter of this great football club for the last 51 years and a season ticket holder for the last 34 years, along with many of your readers on this wonderful site, I feel that I have a right to know what to expect in the near future. We have all seen far too many “false dawns” over the last few years, when we have been promised greatness, only for someone at the top of the organisation to lose their nerve when it matters and NOT inject the funds necessary to take the team to the next level. So come on Mr Levy, I challenge you. Tell us the truth for a change. !!! In their meeting with DL, the Trust said exactly that. Don’t believe it went down well with the boss but it needed to be said and is the right thing to do. tell us what the plan is. I’d second that list of players without a future and we need to add Dembele who is as said above is the new Samways (but only in the way he passes sideways all the time). I suspect he is a player who looks good in training but he is woefully lacking in major games. Not too keen on being tackled (hence the sideways pass), not willing to tackle and unable to play a penetrating pass. He does run around a lot and he looks the part but other than a brief spell where he seemed to link up well with Bale (i.e. he gave him the ball early), I’ve seen nothing different every time he plays. He needs either a new role or (for me) a new club. Having said all that, we’ll sell Lennon first because he’s the player that other teams want in their side and it’s the best deal in terms of accounting. I think the jury is out on Fazio. He’s been up and down but it’s just too early to judge him. We do need at least one centre half in during the window. Dier would probably be better going out on loan and playing regularly rather than being a bit player but Kabul is shot at and Chiriches was a very bad buy so his development may be stunted. The good thing is that we’re starting to see a much more identifiable first team and that to me is progress. Lennon will never leave spurs because he knows any new club would rumble him after one game a so called footballer who cant kick a ball i.e. why doesnt the shortest man in the team and a so called rightwinger never take a corner or freekick plus one goal in his last fifty games.Lennon is useless and whats more he knows it. Lennon’s not so bad. Not so good either….he could be sold because he’d command a decent fee. Demand and supply. Agree. Sometimes hard to see but there all the same. It’s from a low base though – shows how far back we have gone after spending the Bale money. If we can iron out giving the game away, we can go on to being a half descent team. Win a cup or 2 will do me just fine, and if it’s the Europa even better as we will play Champions league football. From November onwards I can see a big change in the team effort , just need a few more players to show some fight and who knows. Thanks man. May have a wait for that cup though…! Normal service is resumed. But when you combine a dodgy ref and below average performances from too many players the result will find you out. An honest and perceptive account of the first half of the season, but I think you let the club off too easily for the scandalous failure to bring in at least one more striker in the summer. Harry Kane’s goals got Levy and Baldini off the hook and his performances have carried the club when you consider Saldado is a dud and Adebeyour is happy being Adebeyour. We must get at least another striker this month or Kane will run dry sooner or later and we’ll suffer the consequences of penny pinching mismanagement. While Man City, United and Chelsea hoover up all available talent, Baldini continues to underwhelm with his acquisitions. It appears our activities in January are to offload the players who don’t fit in, instead of investing in one or two who can add quality. (What’s Italian for “Quality rather than quantity”?) So, our ambitions are to finish as the “best of the rest” – but at least we’ve got real hope of completing a full season with the same manager! (and the continuing afterglow of the Chelsea result takes some of the sting out of the Palace performance). Agree with all that, David. It’s just that I have written so often about the striker negligence, regularly over the last three seasons, that I didn’t want to go over it again. It’s not just the summer, it’s every window for the last, what, four seasons, five maybe off the top of my head, bar Soldado of course and we know how that has turned out. And my Chelsea afterglow will last until kick-off tomorrow at least! We have to support the manager. But there is something emotional that we are not getting. I would have gladly settled for 3 points over the course of the two games against Palace or Chelsea.But we won the game against Chelsea so the aggregate did become a downer. I can understand if we are tried with so many games but we were lifeless.So lifeless that I packed it in watching the recording (I knew the score) at the half. I didnt think I would learn much more from watching the second.We seemed to be in gear number 1 and it was slow. I do blame Poch for not getting them ready. He does pay a much bigger emphasis on the system than emotional aspects I think. But the team obviously didnt get a rousing sermon before the game probably just some X’s and O’s..Nothing lost over the two but a great opportunity lost. We have a way of getting the opposition to get back their mojos.. New manager,2 top players off and a mediocre season. And what do we do? Think we slowly getting better in this respect, Ron, as we saw with the Burnley tie where they did keep going by all accounts and were rewarded. Think the lethargy comes from not having the mental strength throughout the team but it is much better than earlier in the season where I was very critical of their attitude. Alan,Im sure the answer lies somewhere between ‘What are we doing now?’ and ‘Think we slowly getting better in this respect’ LOL!! !